This post has been sponsored by Fritz’s Adventure, but all opinions remain my own. I really can not tell you how much we had fun at our time to Branson this year. So much fun that we actually made two trips this year, and I’m currently trying to wrangle my hubby into a third trip for Christmas before our Silver Dollar City passes expire. But this past trip was probably our favorite. We got to experience so many more new family-friendly places in Branson, and I’m over the moon about the one I’m about to share with you. 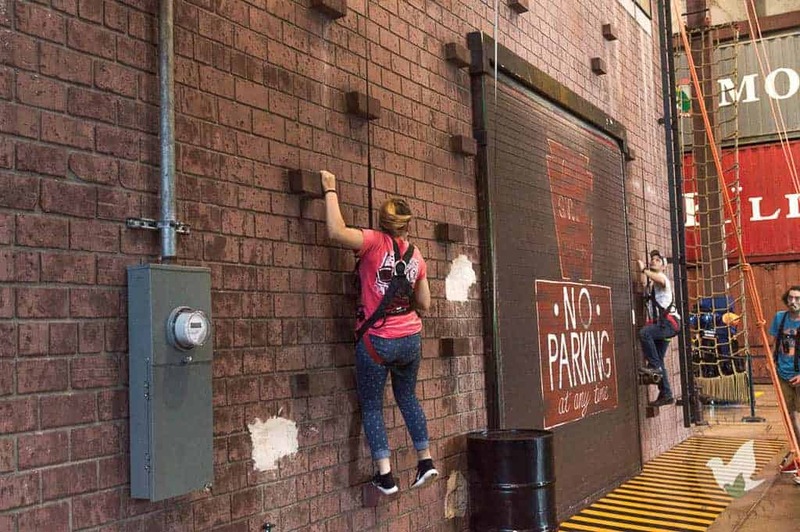 If you have school aged kiddos, up even to adults, you absolutely have to plan a visit to Fritz’s Adventure! 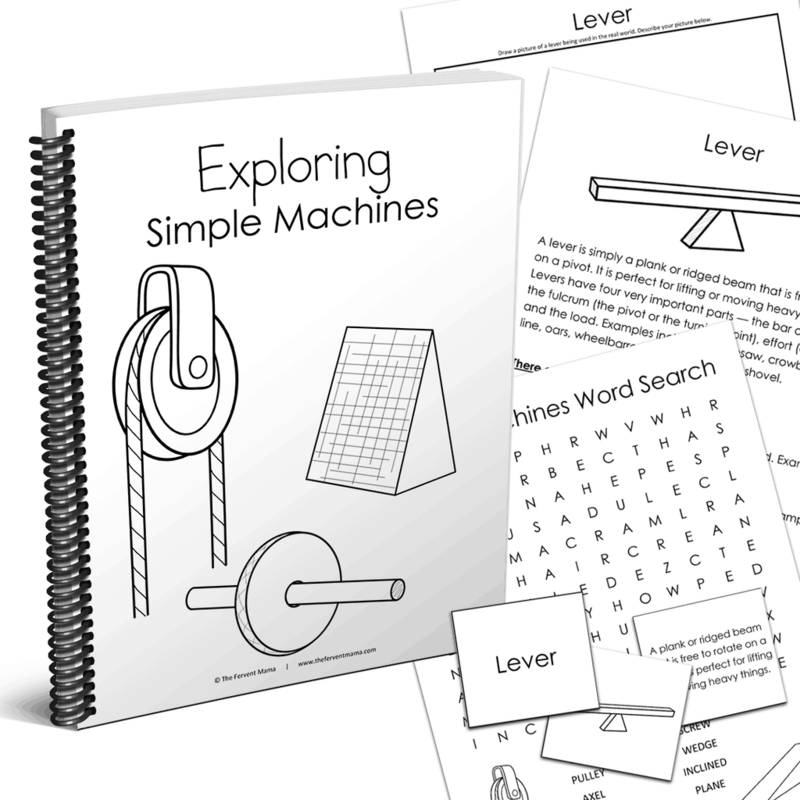 Read on to learn more about our Simple Machines Study and how Fritz’s Adventure inspired it! Fritz is a “new to the scene” attraction but is quickly stirring up talk, and there’s no doubt that they deserve it. This place is so amazing! 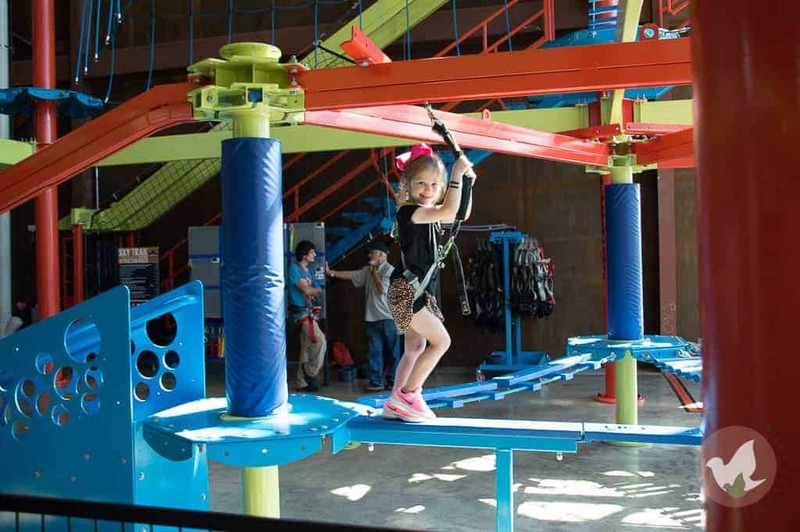 The indoor fun zone holds true to its adventure claims. 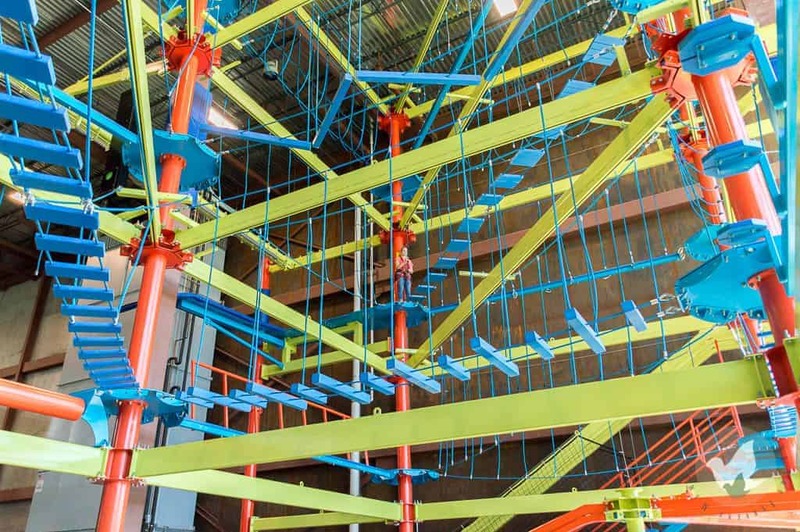 With a four-story rope course, a “Ninja Warrior” warp wall, a super rock wall, underground tunnels, multi-story slides and so much more- your family won’t be anything close to bored here. Our family got Fritz’s Adventure tees, and the kids love wearing theirs and talking about their “Ninja Warrior” experience. This place obviously made a big impact on them! All of this adventure had me really excited about tying in some great homeschool lessons to the fun that we had. 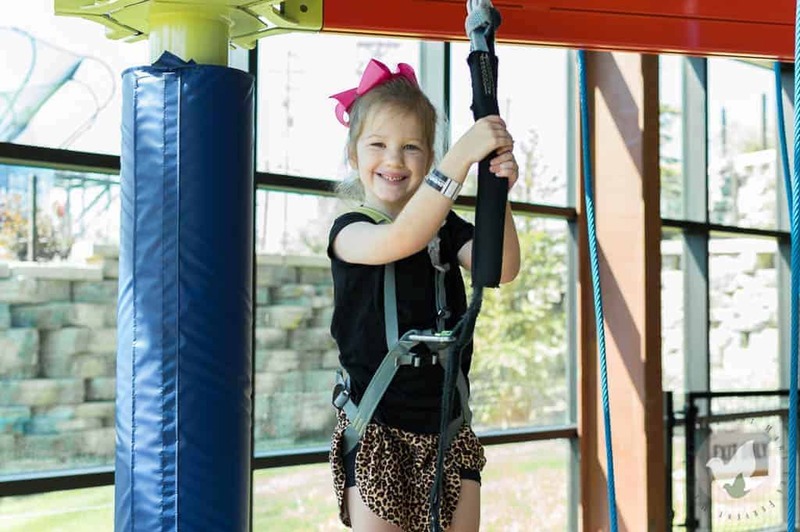 After the adults had fun on the four-story rope/ladder course, and the kiddos had a great time on the fun-sized one- I knew that a Simple Machines Study would be perfect to tie it all together! 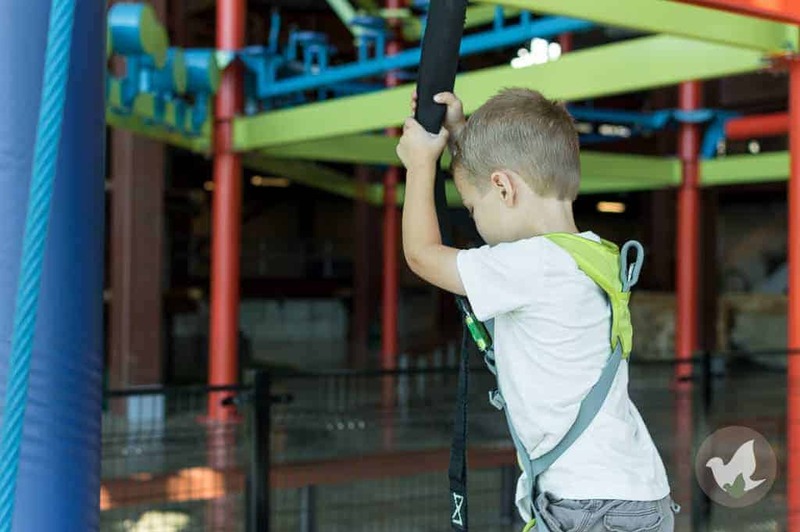 First, you’re suited up with a harness attached to a large hook and metal bar that allows you to move around the course freely, but safely attached should you slip. And I promise, if you’re really into the course, you probably will- but that’s the fun of it! Even the kids are suited up for the fun-sized course, which isn’t very high at all. But, it was a good thing because my clumsy 3 years old lost his footing many times, and got caught dangling a little here and there. It even helped him to gain his footing without help! We arrived at Fritz right after opening and stayed nearly all day. Our condo was less than a five-minute drive, so we did head back for lunch (thank you pressure cooker), and then found ourselves right back enjoying our time until almost closing! And still, the kiddos weren’t ready to leave. Upstairs, you’ll find a small cafe that sells lunch items and drinks. You can definitely take a little lunch or snack break and then go right back to playing. No need to leave the site if you don’t want to! I’m a skirt wearer, so I was sure that I could just throw some leggings under an active skirt and be fine- totally true. Wear tennis, there’s a lot of activities and you’ll want to participate. 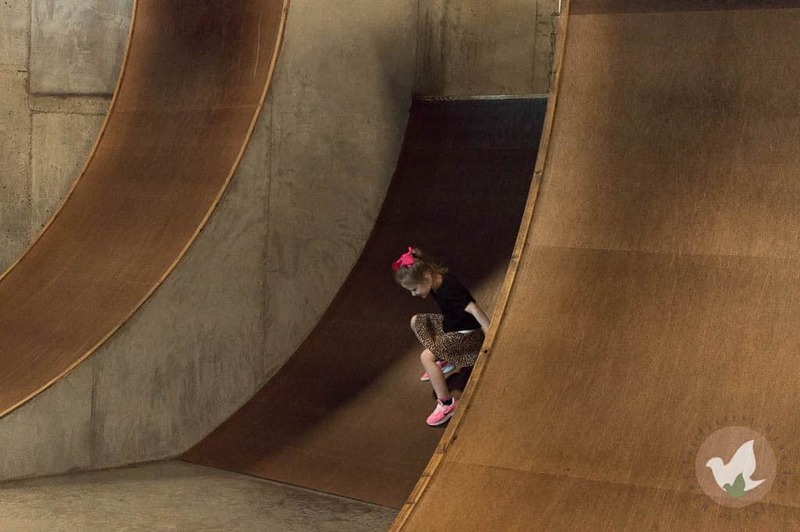 There are lots of high spaces, crawling, and tunnels- your kids may need a little guidance. Mine got lost in the underground tunnels a few times, so we had an adult stick with them. I did bring my stroller and my Lillebaby and I had no issues with either. There’s an elevator so you won’t have to miss out on the fun for any level. If you’re wanting to try out the aerodium, be sure that you call in advance or check the schedule. It wasn’t available the day that we went, so you may want to plan ahead! There’s no question that we’ll be back at Fritz on our next trip to Branson, MO. The adults loved it as much as the kids did and it’s a great activity that keeps the family involved, even indoors! 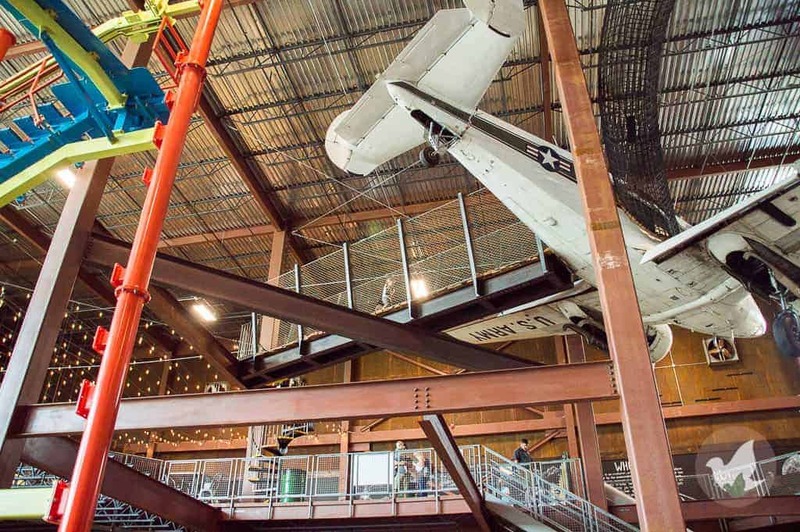 Next time, we’ll brush up on our simple machines study before we visit so that the kiddos can identify the engineering behind our fun! 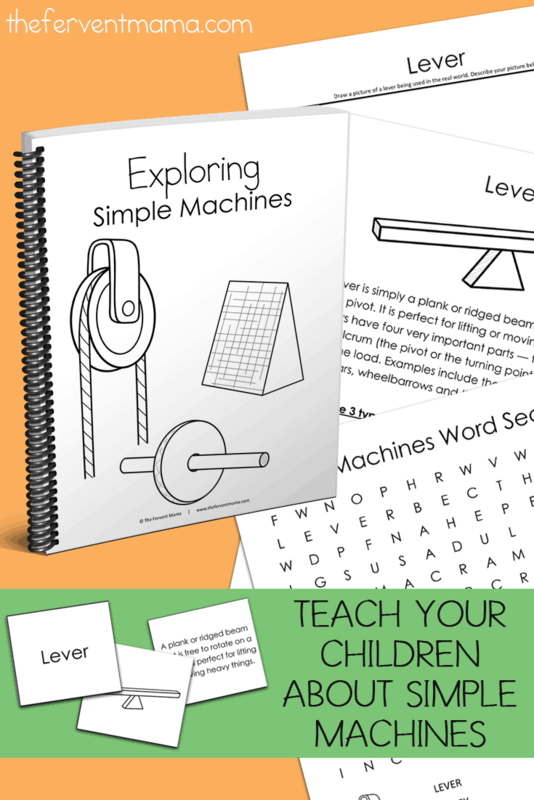 Like all of our printables, we’re offering our Simple Machines Study for FREE for three days only to our readers. If you’re interested in getting this 20-page study, hop on this offer now! Offer subject to change at any time. Only available at a discounted rate until Friday, November 16th, 2018. « This is the perfect homeschool study resource for all ages!